↑ Börekçi, Günhan (2009). 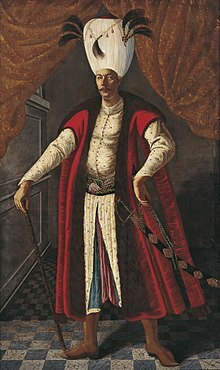 "Mehmed IV". प्रकाशित Ágoston, Gábor; Bruce Masters. Encyclopedia of the Ottoman Empire. पृ॰ 370-1. ↑ Baer, Marc David (2008). Honored by the Glory of Islam: Conversion and Conquest in Ottoman Europe. Oxford University Press. पृ॰ 165. आई॰ऍस॰बी॰ऍन॰ 978-0-19-979783-7.